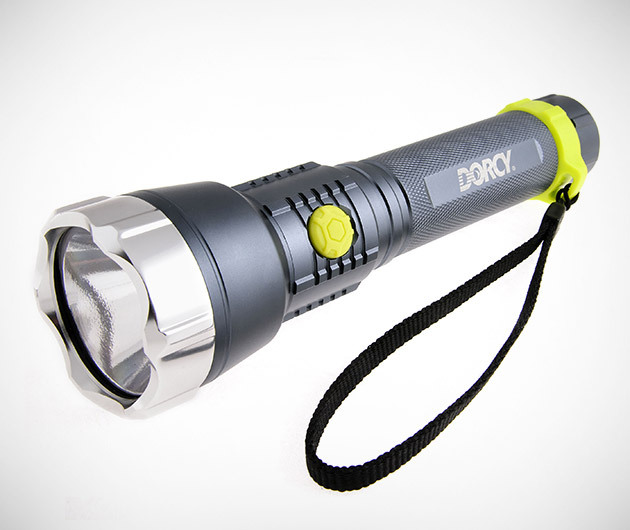 The next generation of lighting from Dorcy, the Metal Gear XL-M Extreme Flashlight quite literally outshines all of its competitors. Just a single LED chip produces 618 lumens with a beam that stretches for an incredible 1,100 feet. The aluminium housing means that it's lightweight and durable and there are two settings, the dimmer of which will light up your life for a stomping 25 hours plus.